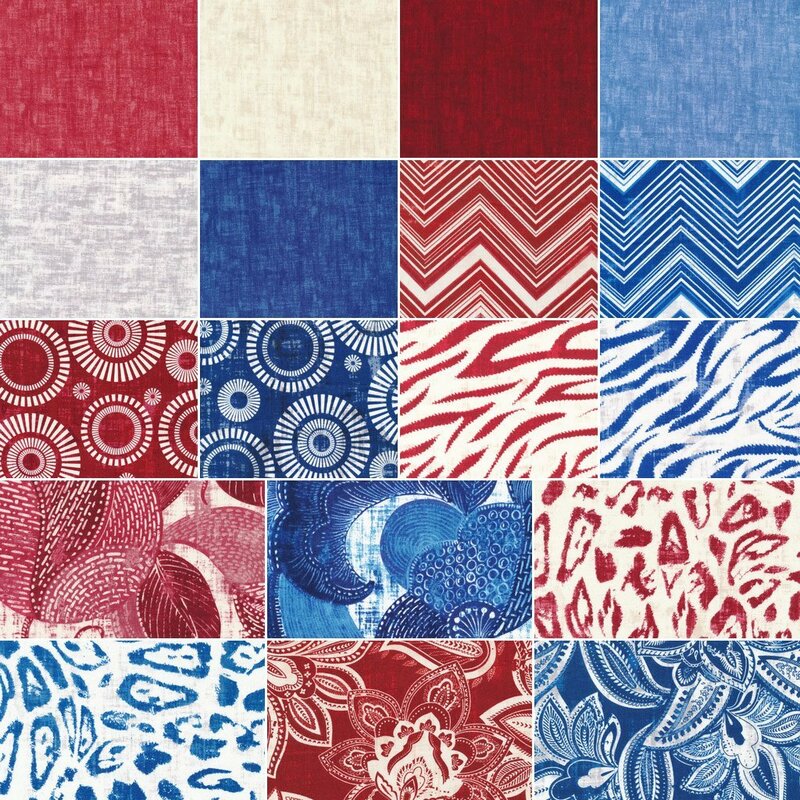 With all of the Independence Day celebrations this weekend, I thought it would be fun to showcase precuts in patriotic colors of red, white and blue! Here’s a lovely grouping from Sandy Gervais called Red, White and Free. Don’t you just love the clever title? At last check I only had a couple of the fat quarter bundles left which includes one of each of the prints, plus the oversized panels (which would make a great quickie quilt!) I also have it in layer cakes and jelly rolls. Fabri-Quilt’s version of Jelly Rolls are called Snack Packs. Isn’t that cute? 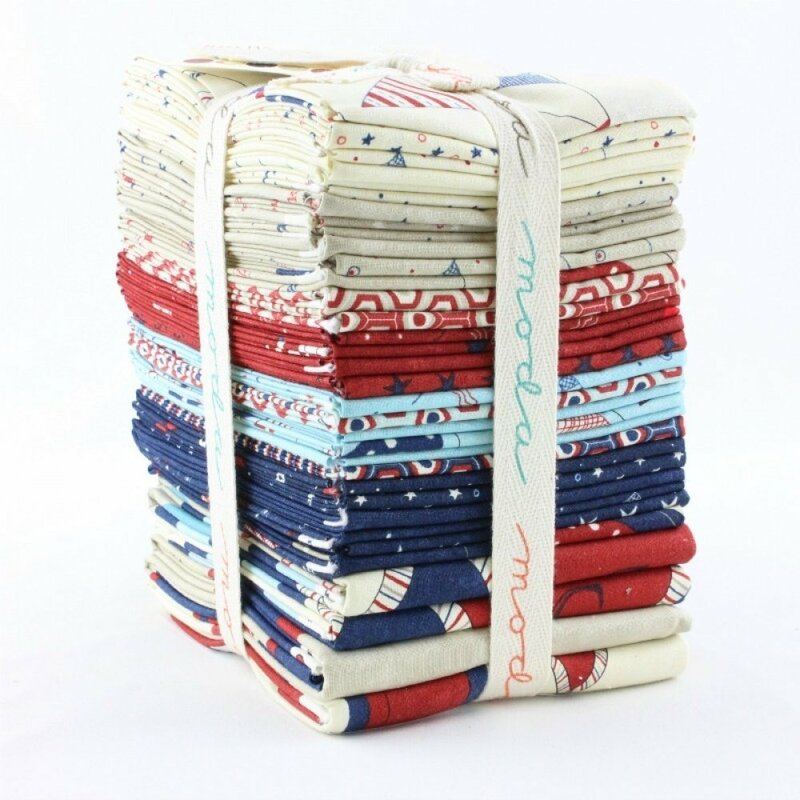 Enjoy a high fiber-zero calorie “treat” when you try out this lovely color bundle below, aptly titled “Flags Forever.” I love the fact that the colors together are patriotic yet the individual fabric designs are very universal. Flags Forever – Bella Casa Snack Pack from Fabri-Quilt. 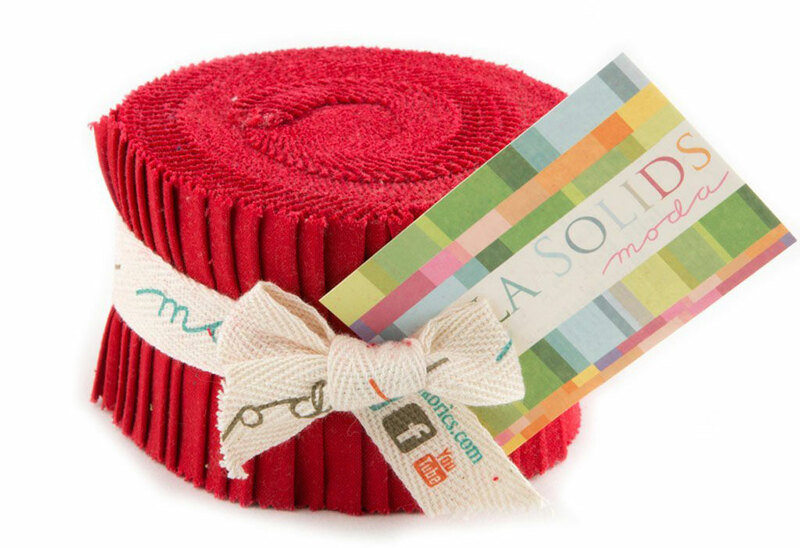 Red is a great color any time of year, and Moda knows that! I love that they have put together several Bella Solids that are duplicates of the same solid color fabric. The gorgeous red below is 9900-16. Naturally the solids are also available in white and blue. I’ll be sewing like crazy all weekend! Oh yeah, and shooting off some fireworks, too! Here in Germany, it’s not a holiday, but we will make a barbecue with friends at Saturday. Hopefully it’s a little bit colder in the city wood than in our flat. Outside it will become about 40 degrees. . . Eating, swimming, quilting and watching our neighborhood parade!